And I suspect that for most of us, when we are about to do anything worthwhile, that’s how we feel. At that point, we have a crucial choice. Do we heed the excited part and take action? Or does the mostly daunted part of our emotions over-ride everything else, distracting us and stopping us from doing what we know we should. That you would put yourself in a position to feel excited and daunted more often. 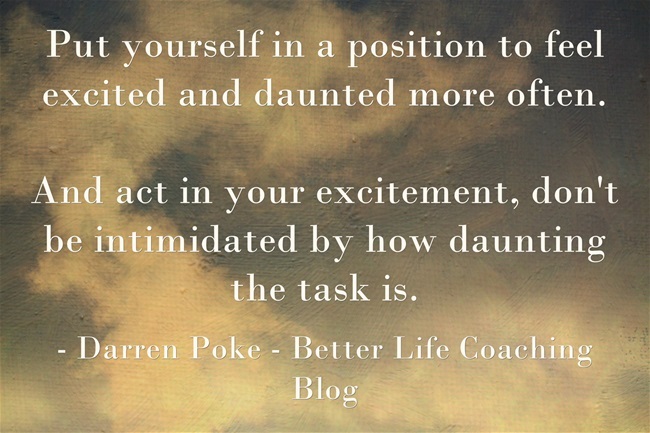 And that you would act in your excitement, not be intimidated by how daunting the task is.